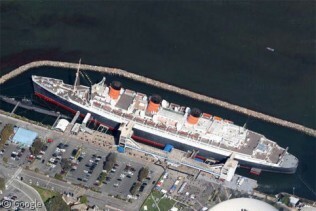 Eighty years ago today the RMS Queen Mary was launched in Clydebank Scotland. She served as a luxury cruise liner for Cunard for about three decades, until age forced her into retirement. Instead of being scrapped, she was moored permanently at Long Beach, California, where she now acts as a hotel, museum and restaurant.